A big factor in this whole Arkansas Shrine affair has been overlooked by many. Potentate Buffington who was expelled from the Grand Lodge of Arkansas was not also expelled from the Shrine BECAUSE HE WAS STILL A MASON. He had dual membership also being a member of the Grand Lodge of Iowa. AND THE GRAND LODGE OF IOWA REFUSED TO EXPEL HIM. So what do all you legalists have to say now? If Buffington’s own Lodge found that he did nothing wrong, if the Shrine found that he did nothing wrong and if the Grand Master of Iowa found that he had done nothing wrong and refused to expel him, could it be that the Grand Lodge of Arkansas is wrong and out for a vendetta? Such action or non action by the Grand Lodge of Iowa is setting a precedent. It follows the Grand Lodge of Ohio giving Past Grand Master Frank Haas sanctuary after being expelled from West Virginia. It looks as if Grand Lodges may not always rubber stamp support decisions by other Grand Lodges. The good old boys network is showing some cracks. 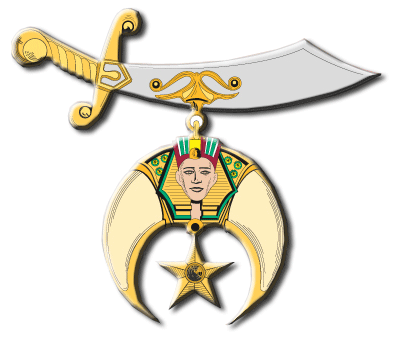 More light is shed by a letter from Theodore Corsones, General Counsel Emeritus of Shriners International and Shriners Hospitals for Children and also a Past Grand Master. General Counsel Emeritus of Shriners International and Shriners Hospitals for Children. Does the Beehive continues to air dirty laundry. Most of us already know what that some Grand Lodges have become the directing agency for their subordinate lodges instead of the support and continuity of the state. Pray tell me what good it does to continue to bring it to the forefront. The Smart move would be to bring the solution the every mason in the state of These Grand Lodged and explain what each individual brother needs to do to do his part to restore masonry in their state. Yet ,I do understand that bad news sells papers and apparently that is what the “Beehive” is about. Bring the sensational news out and everyone reads it. No body reads good news. So I guess we are doomed to constantly be bombarded with all the badness in Masonry. again brother blake your talking about doing something that a mason can do—but—not a mason that has been expelled without a trial—-where am i going to to correct this—-a masonic lodge—-sorry—-im not allowed there—the g.l. of arkansas has told no telling what on me—-what avenue do i have but air my complaints here or in a paper—grand lodge of ark. wont even talk to me—i tryed before jasper 21 made up liues on me—-this could of been settled a long time ago—-you dont even have what it takes to answer me—so quit trying to blame beehive—if you want to try doing something—try doing right not worrying about hiding the truth—sorry if im sounding mean—but–gosh—if folks dont do something —this will be like the morgan afair—-how long did that ruin masonry? Sending on a public letter from the General Counsel of the Shriners is airing dirty laundry? Come now Ole Blake, you know me better than to initiate ad hominem attacks against me. The good it does to write such stories is to galvanize the good part of American Freemasonry into disciplining the bad part of American Freemasonry. But you would have us be like the Catholic Church used to be and learned the hard way that it is worse than coming clean – hide the pedophiles and make believe it never happened. Where is your moral outrage? I think I have heard this tired old slogan once too many times – the members of that Grand Lodge need to vote to correct any wrongs. Sure that is as easy as Syrians or North Koreans trying to reform their government. Theory is nice but reality is what we folks in the trenches have to deal with. I don’t share the perception that The Beehive is trying to “air dirty laundry” with a malicious intent. I have followed this website for about a year and a half and I love the idea (conceptually). Beehive, I encourage you to continue reporting masonic news (good and bad) as they happen. But I can see why there are some who would *perceive* it as “airing dirty laundry”. There are many parallels with this blog and every news media outlet and paper our country has (so it’s not just you). The focus in our largest news outlets (Fox News, CNN, MSNBC, Washington Post, etc.) isn’t so much on informing the reader about *WHAT* the news is. The focus is on telling them **WHAT TO THINK OF THE NEWS THAT IS OUT THERE**. (For example, up until the late 90’s I used to love watching CNN headline news. That is, until they stopped frequently showing…headlines. They hired on folks like Glen Beck and Nancy Grace. Although there were times I agreed very much with some of the things they said, I couldn’t escape the fact that they weren’t focusing on telling me *what the news was*. They were focused on telling me *what to think of the news*. It can be difficult as a writer or reporter to separate these two thing but by your own admission in the previous post you are attempting to be persuasive. Thus, you run into the same problem that other political preachers have. I could turn my radio to Rush Limbaugh and listen for an hour and agree with vast amounts of things he says. And you know what, I still feel like I wasted an hour. I didn’t learn a great deal about the news by listening to him. I learned a great deal about what *he wants me to think* about the news. (I’m not picking on Rush, this would be true for a political preacher of any political persuasion). “To persuade” and “To inform” are two entirely separate things. And yes, you can try to do both at the same time, but you lose any credibility you could have when it comes to objectivity (which is why I can see why there are some who perceive you to be airing dirty laundry). Another problem associated with you trying to tell people *what to think about the news* is that the perceptions and opinions are largely yours alone. So if you miss something or fail to consider all angles (which would happen to any political preacher if he talks long enough) then many of your readers will do the same. And judging by some of your more recent articles you can have a tendency to assign blame to (what I perceive as) the wrong person/cause. I personally don’t place the bulk of the blame on the Grand Masters that are acting like idiots. I place the bulk of the blame on the brethren that keep electing the idiots and allow the Grand Lodge to do whatever they please (as you pointed out, this is part of a lengthy pattern of absurd behavior). I also personally find fault that for brethren that are apathetic when it comes to Grand Lodge policies (and the brethren under my GL are equally guilty of this). But whether or not you agree with my opinions, the fact is that there is always more to the story than just your perspective. And if you choose to be a political preacher then I (the reader) have to treat this blog the same way I treat the media outlets in our country. I have to watch them all. Every one of them. I can’t get the full picture if I just watch one person who desires to tell me what to think about the news. I don’t think your persuasive writing style is done with a malicious intent but because by your own admission it is persuasive instead of focusing on being informative (and letting the reader come to his own conclusion)it can lead to the perception that it is a biased attempt to air the dirty laundry with an agenda in mind. Beehive, you’re a talented writer and I have followed this blog for some time (even subscribe to your RSS feed). But try to be aware that there are legitimate reasons as to why your blog can be perceived in such a manner. I tend to agree with much of what you say. Your articles and beliefs are certainly not without merit. But as they are written now, they can lead even an experienced reader to conclude that bias and agenda are written into each article with little attempt to understand the root cause of the problem. I appreciate what you have to say, Jason, and thank you for being such a gentleman. Let me reply by saying a Blog by nature is opinion. Whether its food, politics, religion, gardening, travel, you name it, a blog is commentary. It is precisely a vehicle for what you think about a subject. Now a scholarly paper or a non fiction book is different. It might have an opinion but it will be filled with footnotes and a long bibliography and it will inform more than debate or try to convince. I think objectivity is impossible and it is not something I want to get involved in. I don’t want to present the other guy’s point of view – I have no passion for it nor would I present it in the best of lights. Far better is for those who read Blogs is to recognize then for what they are and to search around to find a number of different Blogs with different points of view. Then from that one takes from each what one wants to own. And the rest of the blog is more human interest stories or interesting papers that present some unique information not generally found. It might seem I am up on my soap box for an extended period but when you look at all the articles written you can see controversy is not the every day diet of The Beehive. I just ran across this article and I am very sad to see the same corruption that is happening here in Indiana with its Grand Lodge is also happening around the country. My home Lodge, Leo 224 had an officer put up for Masonic trial for committing sexual battery against another Mason’s wife. Mike Emberton, the officer, is popular almost the brothers and the accuser was a member of another local Lodge. Although our WM tried to run a fair trial, he let the Mason’s wife testify in the lodge room, and be cross examined by all of the accused brother’s friends. Even after admitting that he had kissed and fondled the Mason’s wife, and punched another Mason in the face when being confronted with it, the members voted 33-7 not guilty of Masonic misconduct. Before the accused had a chance to appeal to the Grand Lodge, our Mizpah Shrine Potentate Owen Stiles (best friends with Mike Emberton) worked with Indiana Grand Master George A. Ingles and Grand Secretary Richard J. Elman to make sure the appeal was not going to be heard. When I joined the fraternity some 25 years ago, I was proud to know that my Masonic brothers would stand up for the principles of the craft, no matter how embarrassing this incident could be if it was put out for public outcry. I have since learned the accusing brother was expelled at his own Masonic trial with recorded testimony from Mike Emberton’s ex-wife, who just happened to remember an incident from a previous year. I am truely embarrassed to be a part of the fraternity right now. Who can help us clean this up? EVERY TIME I READ ABOUT THIS, THE OFFENDING BROTHER/POTENTATE’S OFFENSE IS DESCRIBED DIFFERENTLY. FIRST, I HEARD THAT HE WORKED IN OR OWNED A LIQUOR STORE (NOT ALLOWED IN ARKANSAS) THEN SEVERAL OTHER OFFENSES. I HAVE KNOWN SEVERAL GRAND MASTERS OF ARKANSAS PERSONALLY AND RESPECTED AND ADMIRED THEM ALL FOR THEIR KNOWLEDGE AND ETHICS…UNLESS SOME MIGHTY BIG CHANGES HAVE BEEN MADE IN THE 12 YRS SINCE I MOVED AWAY, I DOUBT ANY GRAND MASTER WOULD ACT IN A VIDICTIVE MANNER ON ANY SUBJECT. ONE JUST DOESN’T GET TO BE GRAND MASTER IN ARKANSAS IF THAT KIND OF MAN. ONE FINAL POINT; ARKANSAS GRAND MASTERS ARE SOVEREIGN DURING THE YEAR THEY SERVE BUT AT THE NEXT GRAND SESSION ALL THEIR ACTIONS ARE ENUMERATED AND VOTED ON FOR APPROVAL OR NOT. OBVIOUSLY THIS ACTION WAS APPROVED OF. IN ADDITION, NO SUBSEQUENT GRAND MASTER HAS RECINDED IT. THAT ARKANSAS AND IOWA ARE STILL IN AMITY IS AMAZING TO ME AT THIS POINT.